The sight of a fluttering butterfly brings a smile on most children. Despite their small size, butterflies are one of the world’s most wondrous insects. They have fascinated humankind for millennia. Their seemingly beautiful coloration, unique patterns and miraculous metamorphosis intrigue kids and adults alike. Your kid probably loves to catch and chase butterflies in the gardens! 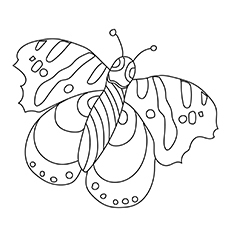 Encourage your child’s imagination skills with these beautiful butterfly coloring pages printable, which depict them in various shapes and sizes. Butterflies symbolize freedom and free-spiritedness in popular cultures. They have been interpreted in a variety of ways, from omens of love to the personification of the souls. 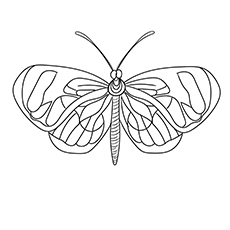 In each coloring page described below, your child will learn fascinating stuff about this gentle and graceful insect. The beautiful butterfly you see here is the blue Morpho Butterfly. It is specie of geotropical butterfly. It is believed to be one of the largest butterflies in the world. As the name suggests, Morpho is a blue colored butterfly with black edge and white spots. 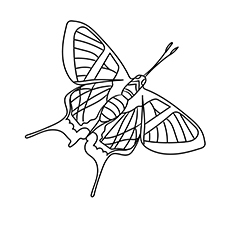 It has two clubbed antennae, six legs and three body segments. 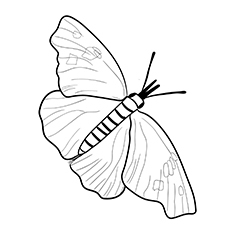 This butterfly thrives on the juices of rotten fruit. 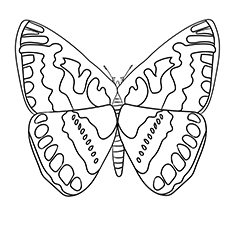 Here is a coloring sheet of Goliath Birdwing butterfly, the second largest butterfly in the world. 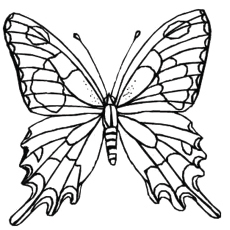 The butterfly gets its name from the large wings and the bird like style it flies. This butterfly is recognized for its black, yellow and green wing. The wings look beautiful in contrast with the black body. These are usually found in the tropical rainforest of Papua, New Guinea and Indonesia. 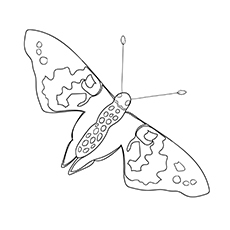 Here is a beautiful coloring sheet of the Karner Blue butterfly for your kids to color. 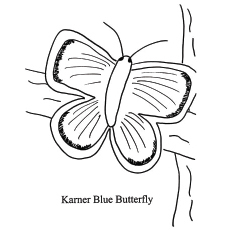 Karner Blue is a tiny butterfly with dark blue or silver blue wings with black border. The female has dull blue wings with dark spots. This endangered butterfly lives in the oak savanna and is associated with wild lupine. 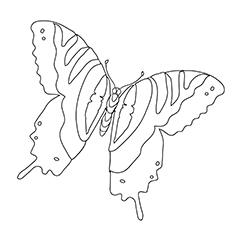 This is a coloring sheet of monarch butterfly, one of the most common butterflies found on earth. It has distinct orange, black and white wings, which sends a warning to predators that the monarch is foul tasting and poisonous. It is also called the “milkweed butterfly” because its larvae eat the plant. 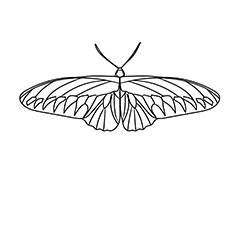 Its wingspan is 8.6 to 12.4 centimeters in diameter. 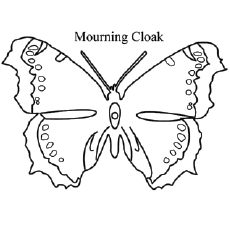 The beautiful butterfly you see here is Mourning Cloak, found commonly in North America and Britain. It is the state butterfly of Montana and is native to Eurasia and North America. The butterfly got its name from a traditional dark colored cloak worn when one is in mourning. It has dark brown wings with yellow border and blue shimmering spots. Mourning cloak is a powerful flower and is found in areas far from its usual range during migration. It has a lifespan of about 11 to 12 months, one of the most extensive life spans for any butterfly. Peacock butterfly is one of the most eye-catching butterflies you can lay your eyes on. The stunning spots on the wing resemble the feather pattern of the peacock. They are usually found flitting in the garden and parks all summer long. They fold up their wings and blend into a hollow tree during the winters. They are usually found in Europe, Asia and Japan. Painted Lady is one of the most widespread of all the butterflies. It is found on every continent except Antarctica and South America. It is an orange-brown butterfly with black spots. This butterfly is known for its distinct migratory behavior. It always flies from the north to northwest. It is also known as thistle and cosmopolitan butterfly. 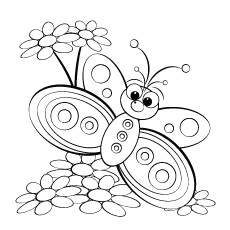 Tell your child to use his imagination and add some colors to the butterfly and the flowers surrounding it. 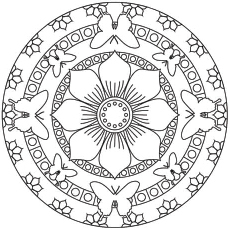 This coloring sheet will look beautiful when hung as a picture on your refrigerator. The red admiral is a colorful butterfly found in the temperate Europe, Asia and North America. This beautiful butterfly is recognized for its velvety black wings intersected by red bands. 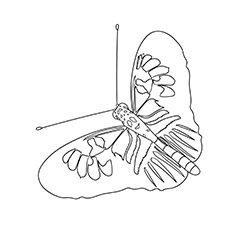 The winter form of this butterfly is smaller and duller while the summer form is larger and brighter. They usually reside in warmer areas, but migrate north during spring and autumn. Tiger Swallowtail is a species of the Swallowtail butterfly. It is native to North America. It is one of the most familiar butterflies in the United States. These large butterflies have a wingspan of 2.5 to 4.5 inches. The male tiger swallowtail is yellow with four black tiger stripes, while the female is either yellow or black in color. Ulysses butterfly, also known as the Blue Mountain butterfly, is the largest Swallowtail butterfly in Australia. Its wing is around 105 mm in diameter. 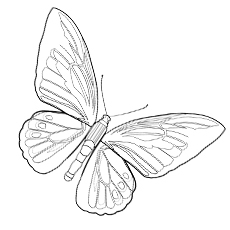 There are around 16 subspecies of Ulysses butterfly. The male Ulysses butterfly has blue- green wings with a dark body, while the female is more subdued in color. The Ulysses butterfly is found in the tropical areas like Northern islands of Australia, New Guinea and Queensland. They feed on the flower nectar. 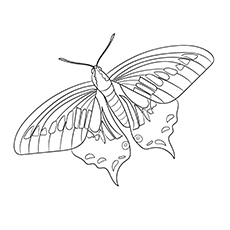 This coloring sheet features a viceroy butterfly on a pretty flower. Viceroy is a North American, non poisonous butterfly found in the regions of the United States, Canada and Mexico. Its wing features an orange and black pattern with a row of white spots. It looks quite similar to Monarch butterfly in appearance. It feeds on the leaves of willow and poplar trees. It is mostly found in meadows, marshes, swamps and other wet areas. 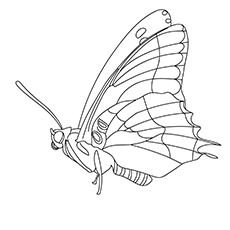 This coloring page shows a beautiful zebra Swallowtail butterfly fluttering around a flower for some nectar. The Zebra Swallowtail butterfly has black and white markings and elongated tails. 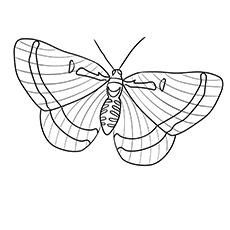 Its wing is around 9.5 to 11.5 cm in diameter. This butterfly is called swallowtail because of the long “tails” on their hind-wings that appear like pointed tails of swallow. 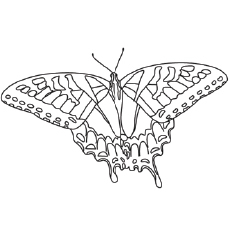 This butterfly is closely associated with papaws and is rarely found far from the trees. The buckeye butterfly is a member of the Nymphalidae family. It is found in the southern Manitoba, Quebec and United States. 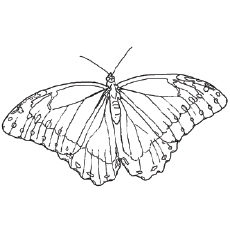 This butterfly is believed to migrate northwards in the late spring and summer. It is usually found in sunny areas, meadows and roadsides. The buck butterfly is mostly light olive brown in color with bold pattern of eyespots and white bars on the wing. The eyespots serve to distract the predators, especially young birds. 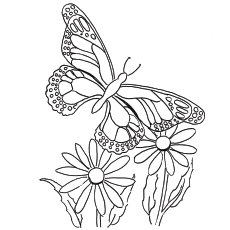 This butterfly coloring sheet has the Queen butterfly flitting above a flower. The queen butterfly is a close relative of the Monarch butterfly. 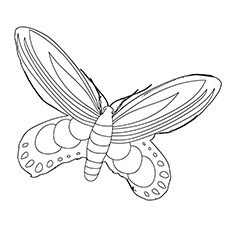 It has long forewings that are dark brown in color. 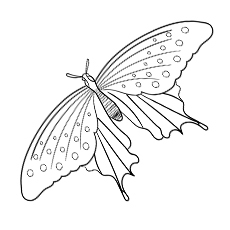 The wings are ornamented with golden spots. The hind wings are small and well rounded. Queen butterflies are found abundantly in the desert of central Arizona and California. Just like the monarch butterfly, Queen Butterflies also migrate in and out of the desert. It thrives in meadows, fields, marshes and the edges of the forest. The west coast lady is one of the three North American species of brush-footed butterflies. As the name implies, this beautiful butterfly is native to the western South Western Canada and US. This specie of butterfly is sub specie of South American, Vanessa carye butterfly. West Coast lady has vivid orange-colored wings with white and brown pattern and blue eyespots. 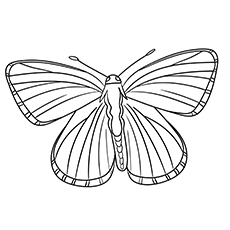 It is a small to medium sized butterfly with the wings spanning from 2 to 2.5 inches. 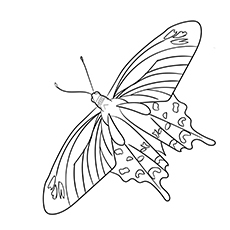 This butterfly thrives on nectar from a variety of flowers, plants and bushes. 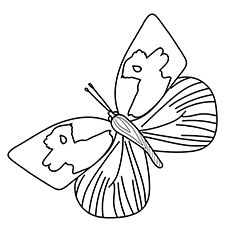 This butterfly is for kids who are fascinated by nature. With lots of small spaces to color in, this coloring sheet will not just boost your child’s fine motor skills, but will also give her a chance to use her creativity. 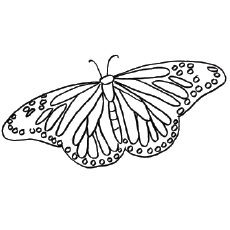 Ask your child to create unique patterns and choose a different color for each butterfly. This page is ideal for kids aged above 10 years. Mandala holds a special significance in Buddhism and Indian culture. It is used widely for attaining meditation. Who is this creepy crawly hiding behind the numbers? 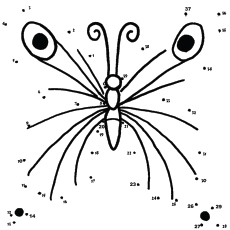 Ask your child to join the dots to reveal the creature. This coloring sheet will help your child practice numbers in a fun way, thereby laying the foundation of early learning. 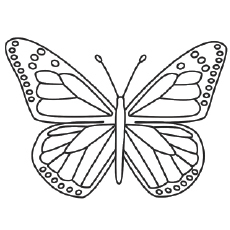 Explain the distinct characteristics of butterfly as your child colors the sheet. 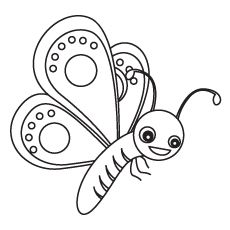 This coloring sheet shows a cheeky, happy butterfly with big eyes and huge wings. 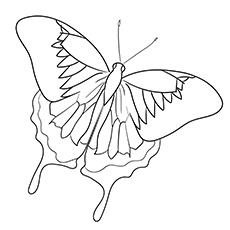 This coloring sheet will look amazing when filled with bright, splashy colors. It’s a great chance for your kid to play with some bold colors! To make this picture even more beautiful, ask your child to draw some flowers and landscape in the background. Do you know that this beautiful and amazing insect can teach your child counting too? 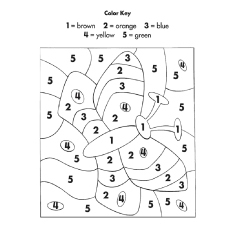 Here is a color by number worksheet for your kids. It looks like this creature has taken a break from her daytime to stop and smell the flower. 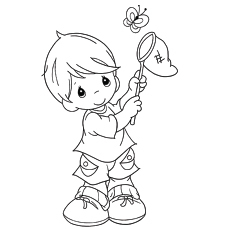 The coloring sheet contains a guide to help your child color with numbers. This will increase your child’s exposure to numbers. Get your child ready for warm weather with the fun coloring sheet. The page features a young boy trying to catch a butterfly. Will this little boy succeed at catching himself a beautiful butterfly? He looks pretty close though. Share the suspense with your kid! 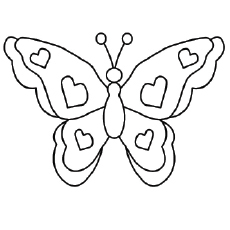 Your little one will love filling colors in the butterfly wings in this picture. This will strengthen his hand muscle in the process. 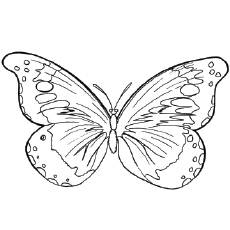 Keep the little one busy with this cute butterfly and cat coloring sheet. 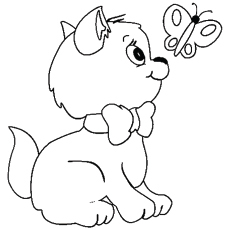 The little kitty in this coloring sheet is having a gala time playing with his friend, Miss Butterfly. It looks like the kitty is trying to catch her. Will he succeed? Let your child decide that as he colors the sheet. 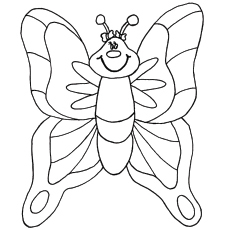 Both Mr. Kitty and Miss Butterfly have a very simple outline, making the coloring sheet ideal for both younger and older kids. 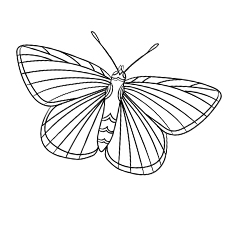 This coloring sheet is guaranteed to please your little nature lover. 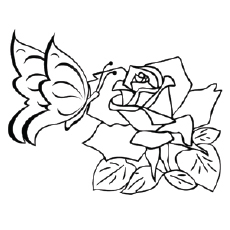 It shows a beautiful butterfly perching on a pretty rose. This diagram will get your child in the springtime spirit. 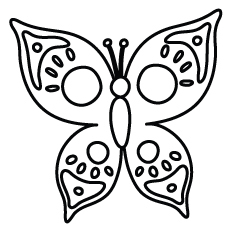 While your child colors the sheet, ask him about how the flower and butterfly help each other to survive. Here is a beautiful butterfly with hearts all over it. 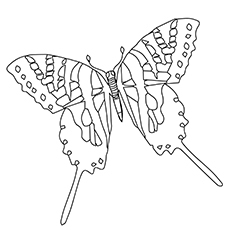 Ask your child to use all the pinks and red to color this butterfly for the Valentine’s day. You can also use this coloring sheet to help your child practice counting and writing numbers. Ask him how many hearts he can find in the picture. 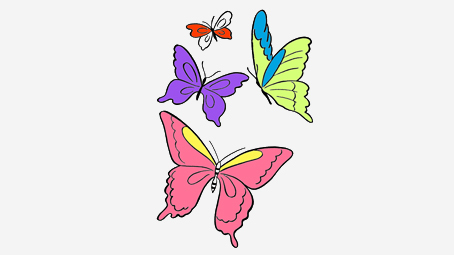 Did you know that a group of butterflies is called a flutter? 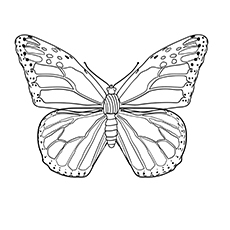 Share this and some more facts about butterflies with this coloring sheet. 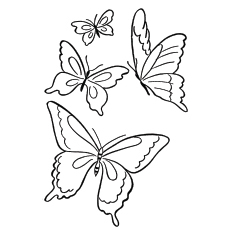 Here is a coloring sheet of a group of butterflies interconnected with each other. All the three butterflies have the same patterns made on them. 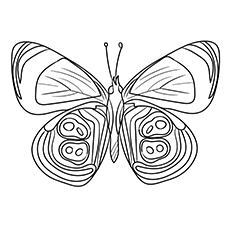 Encourage your child to stay within the detailed lines and get creative on this butterfly coloring sheet. 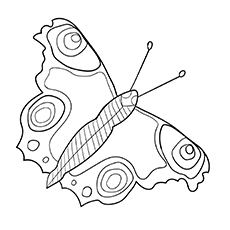 Help your child celebrate spring with this B for butterfly coloring sheet. 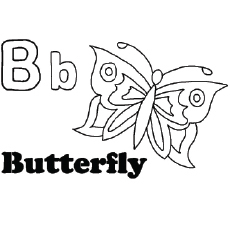 It features upper and lowercase B and a cute butterfly image. This coloring sheet will help your child learn the shape and sound the letter B in a fun way. Ask him to write some other words starting with the letter B on the blank side of the coloring sheet. This will improve his vocabulary skills. 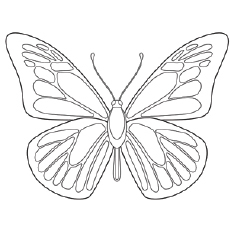 Ask your child to combine different colors to fill these butterfly coloring sheets. This will create a beautiful work of display. Tell them to add an outline for adding details. You can hang your child’s work in their room and use it in their school projects. 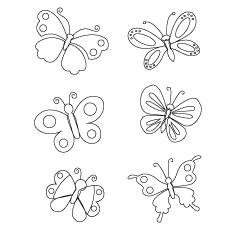 Download these pages and create your own butterfly coloring book. 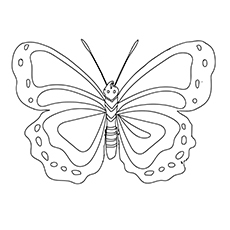 These free printable butterfly coloring pages online will not only develop your child’s motor skills, but will also provide lessons on different species of butterflies. It will also allow your children to display their artistic skills. 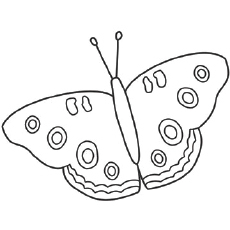 Moms, do let us know how much your kids loved coloring these butterfly pictures to color!